Width Please Select 8" 9" 10" 11" 12" 13" 14" 15" 16" 17" 18" 19" 20" 21" 22" 23" 24" 25" 26" 27" 28" 29" 30" 31" 32" 33" 34" 35" 36" 37" 38" 39" 40" 41" 42" 43" 44" 45" 46" 47" 48" 49" 50" 51" 52" 53" 54" 55" 56" 57" 58" 59" 60" 61" 62" 63" 64" 65" 66" 67" 68" 69" 70" 71" 72" 73" 74" 75" 76" 77" 78" 79" 80" 81" 82" 83" 84" 85" 86" 87" 88" 89" 90" 91" 92" 93" 94" 95" 96" 97" 98" 99" 100" 101" 102" 103" 104" 105" 106" 107" 108" 109" 110" 111" 112" 113" 114" 115" 116" 117" 118" 119" 120" 121" 122" 123" 124" 125" 126" 127" 128" 129" 130" 131" 132" 133" 134" 135" 136" 137" 138" 139" 140" 141" 142" 143" 144" 145" 146" 147" 148" 149" 150" 151" 152" 153" 154" 155" 156" 157" 158" 159" 160" 161" 162" 163" 164" 165" 166" 167" 168" 169" 170" 171" 172" 173" 174" 175" 176" 177" 178" 179" 180" 181" 182" 183" 184" 185" 186" 187" 188" 189" 190" 191" 192" 193" 194" 195" 196" 197" 198" 199" 200" Call For Larger Sizes Please Select 0/0" 1/8" 1/4" 3/8" 1/2" 5/8" 3/4" 7/8" x Height Please Select 8" 9" 10" 11" 12" 13" 14" 15" 16" 17" 18" 19" 20" 21" 22" 23" 24" 25" 26" 27" 28" 29" 30" 31" 32" 33" 34" 35" 36" 37" 38" 39" 40" 41" 42" 43" 44" 45" 46" 47" 48" 49" 50" 51" 52" 53" 54" 55" 56" 57" 58" 59" 60" 61" 62" 63" 64" 65" 66" 67" 68" 69" 70" 71" 72" 73" 74" 75" 76" 77" 78" 79" 80" 81" 82" 83" 84" 85" 86" 87" 88" 89" 90" 91" 92" 93" 94" 95" 96" 97" 98" 99" 100" 101" 102" 103" 104" 105" 106" 107" 108" 109" 110" 111" 112" 113" 114" 115" 116" 117" 118" 119" 120" 121" 122" 123" 124" 125" 126" 127" 128" 129" 130" 131" 132" 133" 134" 135" 136" 137" 138" 139" 140" 141" 142" 143" 144" 145" 146" 147" 148" 149" 150" 151" 152" 153" 154" 155" 156" 157" 158" 159" 160" 161" 162" 163" 164" 165" 166" 167" 168" 169" 170" 171" 172" 173" 174" 175" 176" 177" 178" 179" 180" 181" 182" 183" 184" 185" 186" 187" 188" 189" 190" 191" 192" 193" 194" 195" 196" 197" 198" 199" 200" Call For Larger Sizes Please Select 0/0" 1/8" 1/4" 3/8" 1/2" 5/8" 3/4" 7/8"
*Enter your Window Size Here, Click "Update" & Prices Will Update Below. 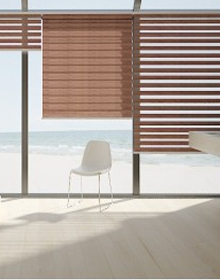 When you are looking for new blinds for your home it can be a very difficult task. There are many options out there so selecting the best window treatment company can be hard. However, if you were to do your research online you will be able to make an informed decision. When you are re-doing your home there are a lot of different things you need to take into account. A lot of people when it comes to home improvement start off with their flooring and don't think about anything else. However, what we suggest is that you first have a plan and goals for the look of your new home. You need to make sure you have a plan first so that everything falls into place and looks orderly. Moreover, you will need to select a color scheme. Once you have a color scheme down, you can go online and look for all the different types of combinations. For example, you will want your flooring, kitchen cabinets and blinds all to match together. So determine what colors you look to go after and then go from there. When it comes to windows, there are many different types of treatments out there. You have blackout shades which blackout your entire room and don't allow light to come through. You also have solar shades that allow you to keep your view and also keep out the heat from your house. Also, there are vertical blinds that are old blinds that are probably the most cheapest. These blinds are known to ft with almost anything. However, with the growth in technology you can now also even but motorized blinds. What this means, is you don't have to struggle moving the shades anymore. Now when a single touch of a control you can move all the blinds inside your home. Also, with roller shades there are many colors available. What this means is that you can basically select any color scheme you want and be able to find shades to match your color. This has a lot of benefits. Another thing that you will want to look for in blinds is how easy they are to clean. Solar shades are really easy to clean because they have pvc in them which means the fabric will not break down if you try to clean it. Another great thing about solar shades is that are made in many different technical openings. What this means is that there are more open weaves such as 16% and also very closed weaves like 1%. The higher the number, the more you will be able to see outside, the lower the number, the less UV rays and sunlight penetrate the room. 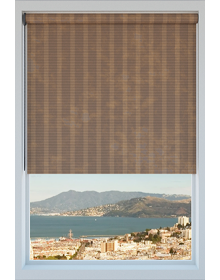 Solar blinds can be a great option if you live in a condo. 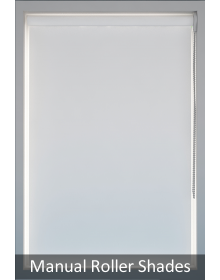 You will see many solar shades in commercial applications such as banks, schools and hospitals as well. This is something that is not true with more delicate fabrics. So you need to be sure to select one that is good for you, especially if you have kids. 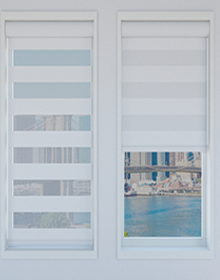 If you are looking for the best in window blinds and treatments then look no further than Prime Blinds.com. We are the number 1 solution for your window treatment needs. 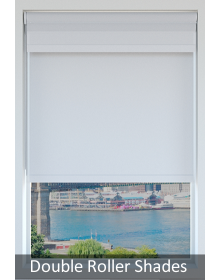 We offer many types of window blinds, including roller shades, solar shades, blackout shade and even motorized. 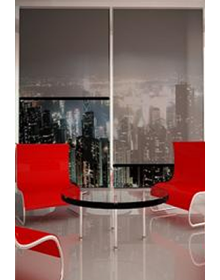 Our motorized shades are known for their effectiveness and look great in almost any application. When you are looking for window treatments or coverings you will come accross many companies and many different types of window coverings. Our job here is to educate you on window blinds so that you can make a wiser decision. With so many options when it comes to window blinds, you will want to learn everything about them first. There are so many types of shades that we recommend you look over our website first. 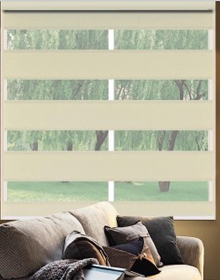 Then when you are ready to order blinds, we recommend that you purchase free samples because they will allow you to see the true color of the blind or shade that you will purchase. Please be careful on selecting a color solely on what you see on your screen. Many monitors show different tones, so you don’t want to end up with a window blind that you don’t like. To avoid this problem we offer the free samples and free shipping on all of our window blinds.